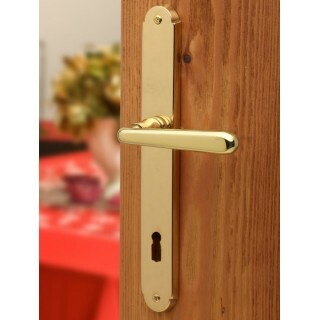 GHIDINI TIROL | Door Handle on Plate |Find out now! Door handle Tirol by Ghidini, made of brass. IMPORTANT: Select the center distance (distance handgrip - key hole) adapted to your lock.